Quarq DZero in spider form. To pair with Quarq Prime and for upgrades*. Road: DFour -110 BCD asymmetric bolt patterns. We are currently experiencing high order volume on our new platform power meters. Because of this, new orders will ship napproximately 6 weeks after the order. We apologize for any inconvenience this causes and appreciate your support of our products and your patience. Quarq’s next generation in power meters, DZero combines 10 years of technology advances with new features such as dual Bluetooth low energy and ANT+ wireless data transfer, the new Qalvin BLE app, and compatibility with Boost 148 (52mm chainline) and BB386EVO bottom brackets. 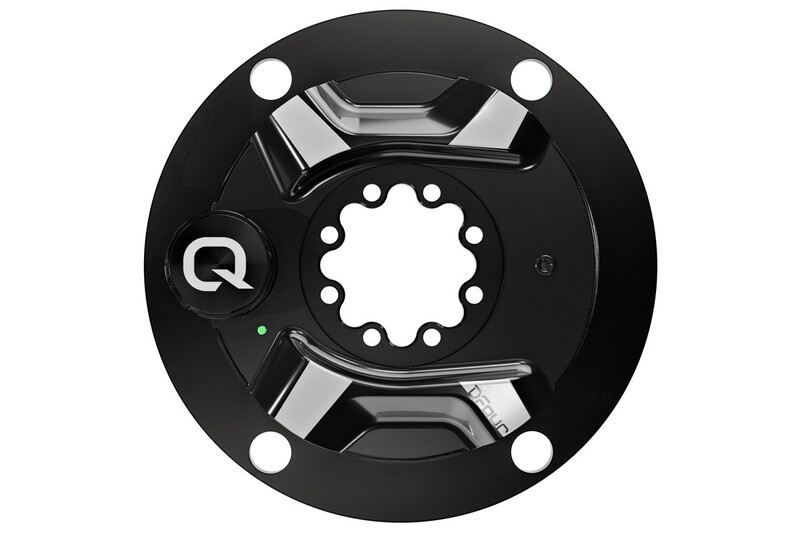 * See Compatibility under Specifications to find out if your Quarq power meter can be upgraded with a DZero spider. Power meters that use the 8-bolt interface can be upgraded to a DZero power meter spider.